Tenmou, Bahrain’s first ‘Business Angels’ organisation, have concluded this year’s Global Entrepreneurship Week (GEW), in the Kingdom of Bahrain. The event had kicked off on Sunday, 15th November 2015 at an inaugural ceremony which was held at the Bice Restaurant at MODA Mall. 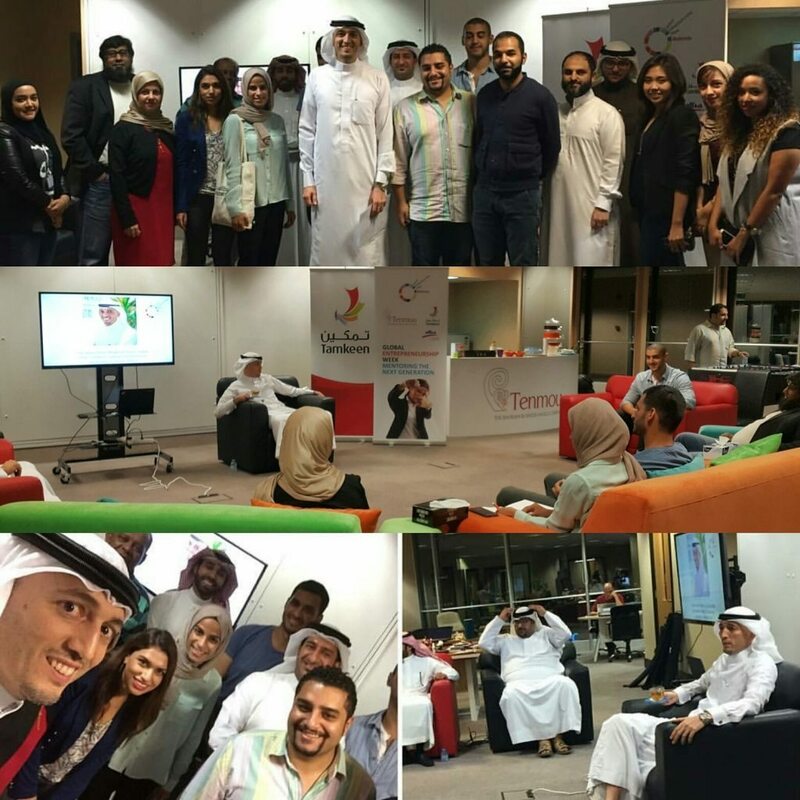 Hosted by Tenmou, the GEW took place from 16th–22nd November 2015 and also featured the Startup Weekend. Throughout the GEW week, a series of Signature events took place which included Start-up Weekend, the Global Start-up Battle and the Creative Business Cup. Participants attended workshops and mentorship sessions which helped them to learn a step-by-step process in setting up successful businesses. More than 1,000 potential and existing entrepreneurs attended making it the most successful event to-date. The GEW partners included Tenmou, Bahrain Small and Medium Enterprises Society (SMEs), Bahrain Chamber of Commerce and Industry (BCCI), 4 Spots, Suhail Al Gosaibi, Bahrain Businesswomen’s Society, Hasan Al Doy, Rowad, Jasper Frumau, Startup Bahrain, and Zain. Startup-Weekend was hosted by Tenmou, in strategic partnership with Tamkeen, ALBA, Microsoft, Batelco and Coca-Cola Bottling Company and took place from 19th to 21st November 2015. Global Entrepreneurship Week is a worldwide movement of entrepreneurial people, stimulating the economy by unleashing their enterprising talents and turning their ideas into reality. It aims to inspire the next generation of future potential entrepreneurs and business leaders by engaging, connecting, mentoring, building and developing their confidence and ambitions through a series of activities hosted by partner organisations.